The Red Wing 875 is an enduring classic boot that has seen a resurgence in popularity over recent years. Now, Red Wing has teamed up with Pierrepont Hicks to create a limited-edition commemorative tie. The micro-patterned club tie has long been a staple of preppy style and the labels’ use of the wedge-soled boot makes for a tongue-in-cheek yet stylish office option. 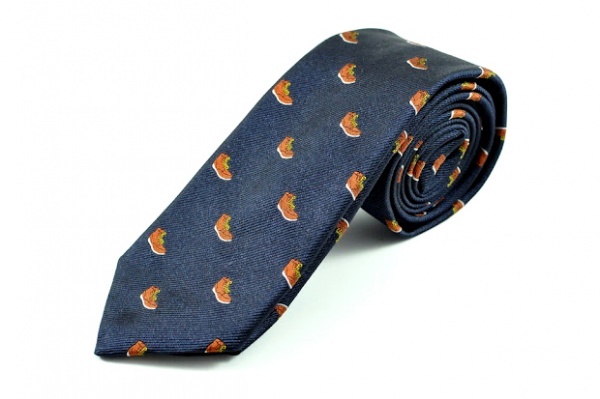 Only twenty-five units were produced and they are available now from the tiemaker’s website while quantities last. This entry was posted in Accessories, Footwear, Ties and tagged Pierrepoint Hicks, Red Wing. Bookmark the permalink.